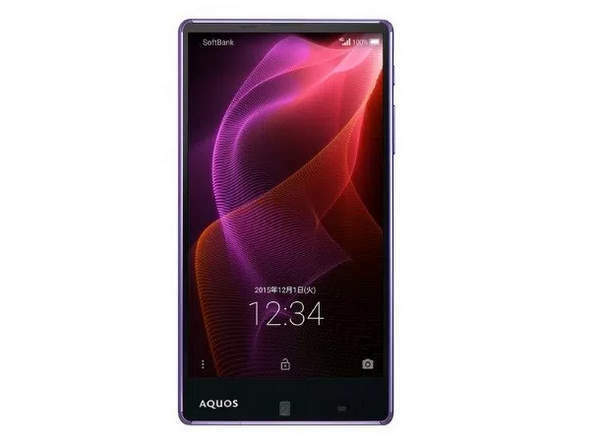 Japanese mobile tech giant SoftBank Group presents another master piece tagged Sharp AQUOS Xx2 (502SH), its come with a 5.30 inch IGZO touchscreen display with a resolution of 1920 pixels by 1080 pixels and 16.77 million colors. Sharp AQUOS Xx2 is driven by a Cortex A57 Cortex A53 1.8 GHz / 1.4 GHz hexa-core processor with Snapdragon 808 MSM8992 chipset and it accompanies 3GB of RAM. The smartphone comes with 32GB of inbuilt memory which can be extended to 200GB through a microSD card. 502SH packs a 13.1 megapixel back shooter camera on the rear with LED flash and a 5 megapixel front camera for selfies. The smartphone comes with Android 5.1 (Lollipop). It dimensions are 138 x 73 x 7.9 mm (tallness x width x thickness) and weigh 150.00 grams. However, it has a 3,100mAH battery. Additional Sharp AQUOS Xx2 (502SH) features water and dust proof, ISDB-T TV available to japan users and CMOS image sensors. Connectivity including Bluetooth, Wi-Fi, GPS, 3G, 4G and LTE. The network features include 4G(FDD LTE): 1.7 GHz / 1.9 GHz / 2.1 GHz; 4G(AXGP): 2.5 GHz; 3G(W-CDMA): 900 MHz / 1.7 GHz / 1.9 GHz / 2.1 GHz; GSM: 850 MHz / 900 MHz / 1800 MHz / 1900 MHz.